A little bit ago, I found myself wanting to install new garage cabinets. So naturally I tended to wander into stores looking for new ones. Of course, I didn't carry a measuring tape or anything. So figuring it out was a little harder than it should have been. I wanted something for measuring I could keep with me. This is an ordinary tailors tape. You can get these nowadays at the dollar store. But this was too big for me. 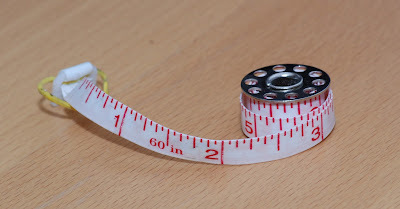 Other suggestions included carrying a proper, albeit small, measuring tape around. Most were just as big or bigger than the blue sucker above. If you crack open the tailoring tape, you'll find half of the space is taken up by the spring that retracts it for you. A waste of space, in my opinion. 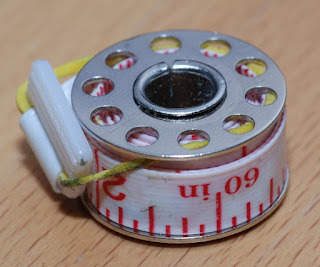 This is the cloth measuring tape from the tailoring tape wound around a common sewing bobbin. This fits quite nicely in the coin pocket of my jeans with plenty of room to spare. It's been cut to 28" to fit the bobbin; a small rubber band holds it together. Since I actually carry it, I'd say it's a winner. Though I haven't needed it yet, so I might stop carrying it. 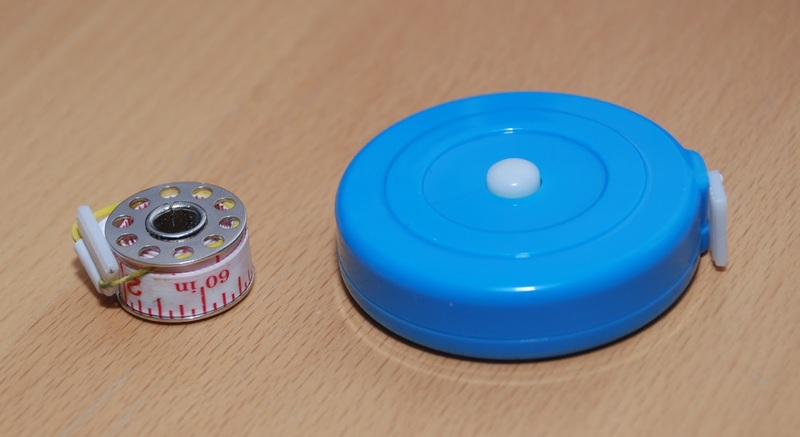 Hope this helps someone out there who wants an EDC tape measure that's actually small enough to carry. Update: OK, after about a year, I've used it possibly three times. Which, if we're honest with ourselves, is pretty much on par for most EDC stuff. I use my pocketknife a couple of times a week, on average, and everything else is pretty occasional. 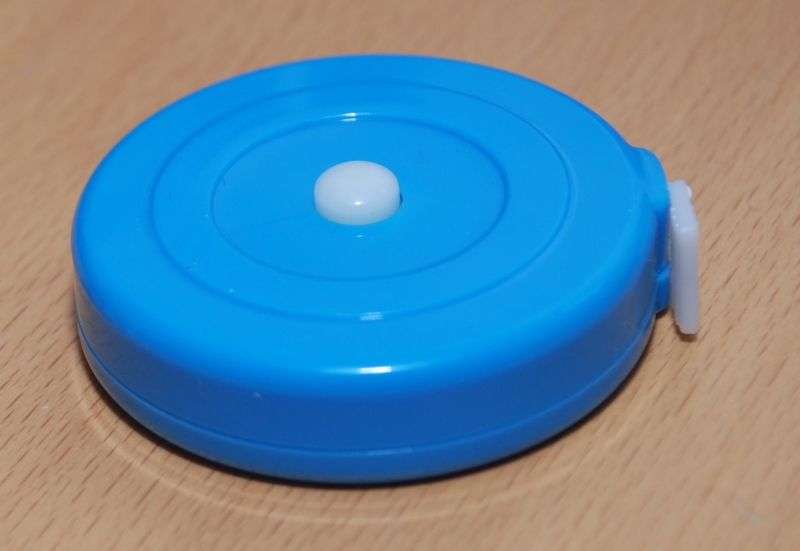 But I still carry it daily, it's still invisibly small, and it works, so it's still a winner for me. Would like to check with you if this EDC measuring tape is retractable? Thanks!